Looking for a subtle twist to your traditional cup of black tea? 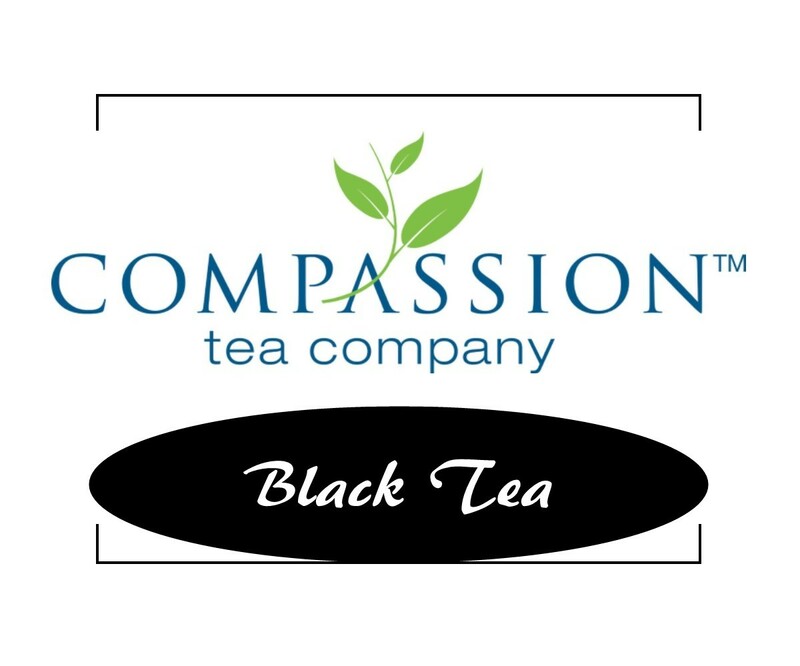 The Compassion Tea Black Sample Pack contains four rich black teas, including some of the favorites you have grown to love, and some that might surprise you! Enjoy for yourself or give as a gift to a friend. All four flavors are tucked into an attractive white pillow box. 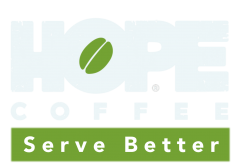 Monk's Blend - One of our most flavorful teas. The combination of vanilla, grenadine, calendula and sunflower petals ensures a particularly satisfying cup. Earl Grey - An unbelievable aroma that portends an unbelievable taste. We have been told repeatedly: "This is the best Earl Grey I have ever tasted!". English Breakfast - A perfect breakfast tea with good body and full tea flavor notes. Coppery bright especially enticing with milk. Flowery Pekoe. Cinnamon Orange Spice - China and Ceylon tea blend with orange peel, cinnamon and spice flavors. Wonderful aroma and delightful taste. 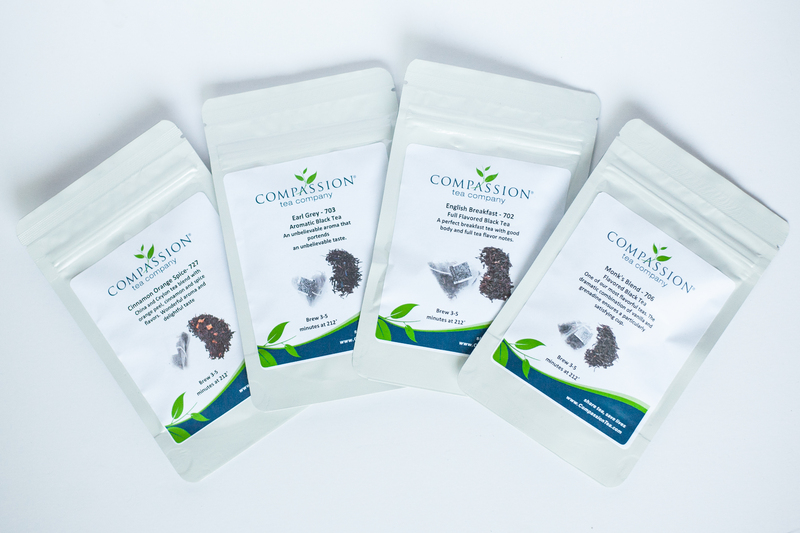 Each sample pack contains 4 pouches of 3 tea bags for a total of 12 Pyramid Tea Bags. Personalize your gift message: We'll print it and include it with your gift.